My first job was in an eighteenth century water-powered needle mill. It was impossible not to fall in love with all the sewing tools and ‘notions’ in the collections. It is therefore rather shocking that my needles are generally to be fumbled for amongst the fluff at the bottom of my tool box. At last all that is to change! Last night (to save me from having to do the housework) I made this little needle book. 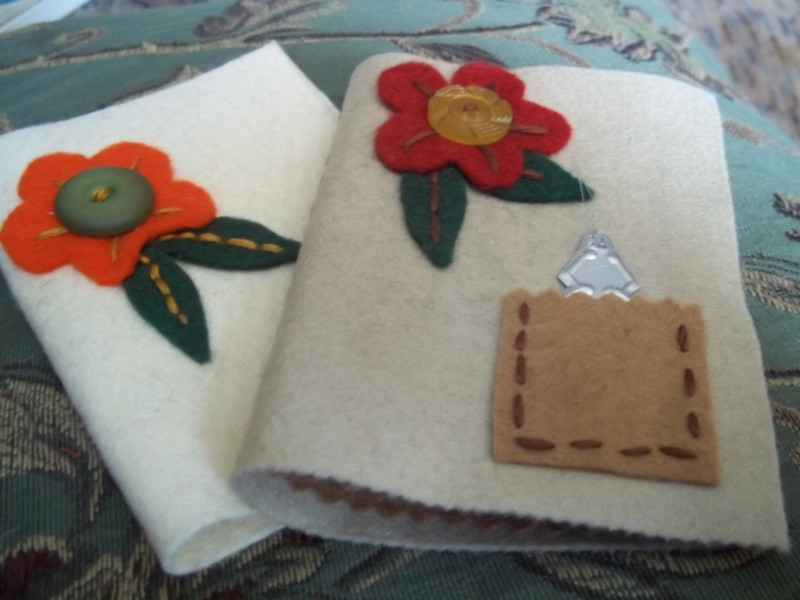 I just cut an oblong of felt and sewed on the felt flower and a little pocket for a needle threader. 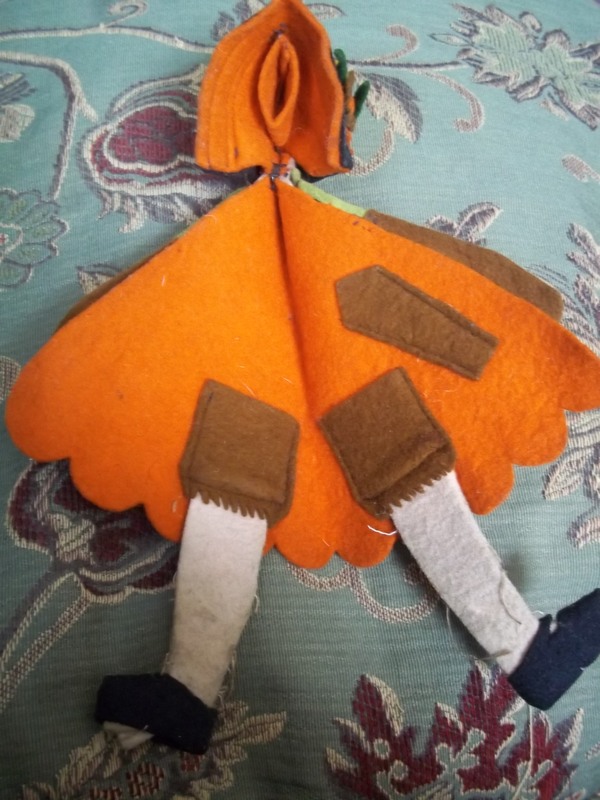 I cut a few smaller oblongs of felt and sewed them through the centre for the leaves inside and ta da as easy as that! So easy in fact, I’ve started another one but with the flower a little lower down. Think these might make nice little presents for birthdays and crimbo. 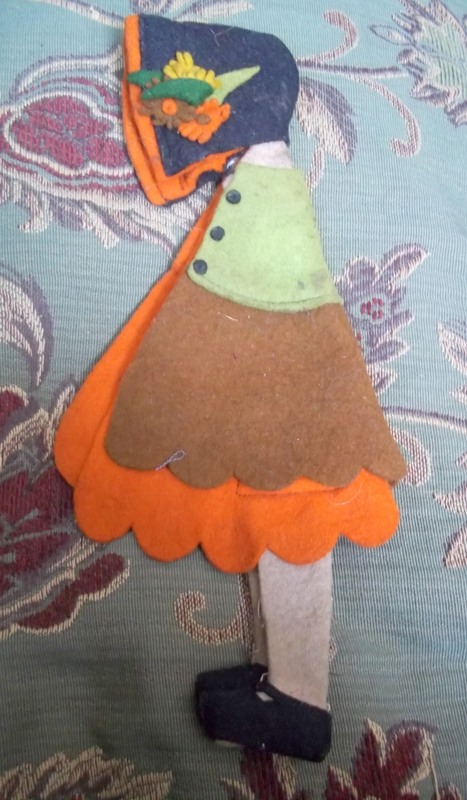 My neighbour Jim recently found his mother’s needle book from the 1920s, a fabulous little girl with a loop under her bonnet for storing a thimble, there are also couple of little pockets and another one for a small pair of scissors. Utterly adorable and beautifully made!